Genuine replacement Electrolux dishwasher filter with handle. Genuine replacement John Lewis dishwasher filter with handle. Genuine replacement Zanussi dishwasher filter with handle. Genuine Bosch dishwasher micro filter. 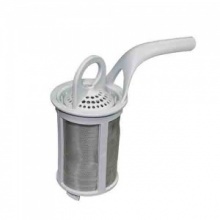 Genuine Neff dishwasher micro filter. Genuine Siemens dishwasher micro filter. Compatible replacement mesh filter for Bosch dishwasher. 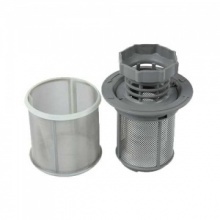 Compatible replacement mesh filter for Neff dishwasher. 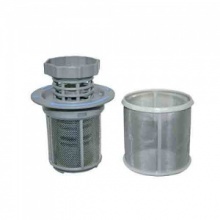 Compatible replacement mesh filter for Siemens dishwasher.